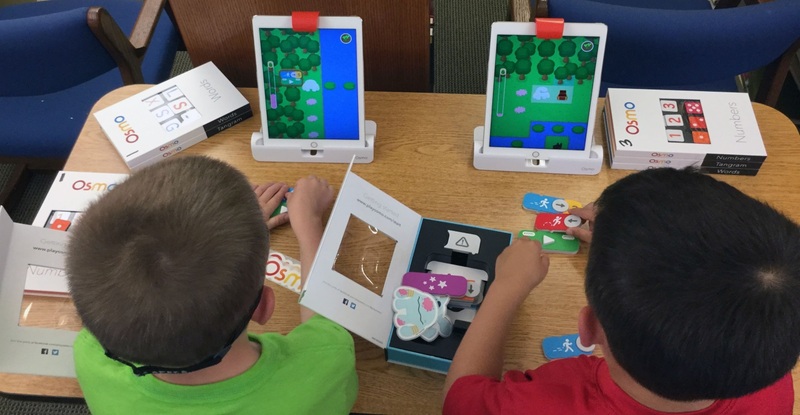 STARTING WEDNESDAY, AUGUST 30 OSMO WILL BE AVAILABLE TO PLAY AT THE LIBRARY! 8 Great Games Including The All New Coding Jam Will Be Available For The Kids To Play. I Encourage Parents To Come In And Play With Their Kids. It’s A Great Way To Spend Time Together Playing, Learning And Having Fun! We only have one iPad, but you can bring yours in to play the games. However, if you do, you have to download the games. They are of no cost and easy to download on your device. You will still need your library card to check out the games however. Thank you! « BE SURE TO COME CHECK IT OUT!